This package implements a MySQL database access wrapper using the MySQLi extension. It is based on the Reduced MySQLi class originally written by Mertol Kasanan. This version can account the memory usage, log the executed queries in the current page. What is the best PHP mysqli class? This class is made by unreal4u (Camilo Sperberg). http://unreal4u.com/. However, the initial idea isn't mine, so I would like to thank Mertol Kasanan, this class is based on his work. See http://www.phpclasses.org/browse/package/5191.html for details. 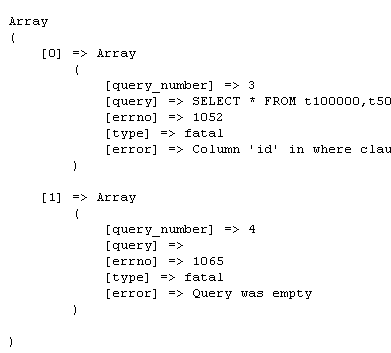 It receives parametrized and simple SQL queries. It creates 3 arrays: one containing all data, and another one that contains some statistics. Optionally, it logs all errors into another array and also into an valid XML file. The DB connection made is singleton, that means only one connection is made for all your queries, even if you have more than 1 instance. The connection is established on demand, not when you initialize the class. There is class that manages MySQL database access connections so only one connection is established during the same PHP script execution. 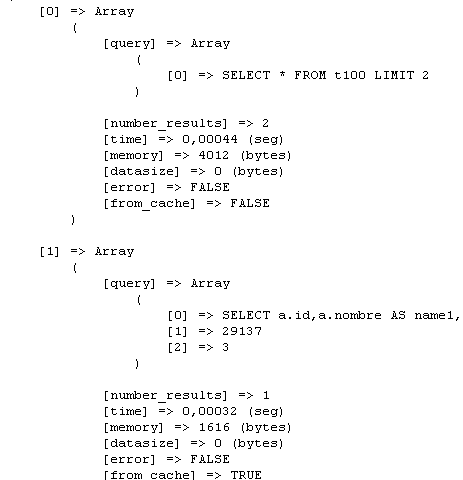 Another class implements other database access functions like executing queries with prepared queries, measuring the time the queries take to execute and the memory usage, retrieving query results into arrays, the number of result rows, last inserted record identifier and log executed queries to a valid XML log file or directly into your page. 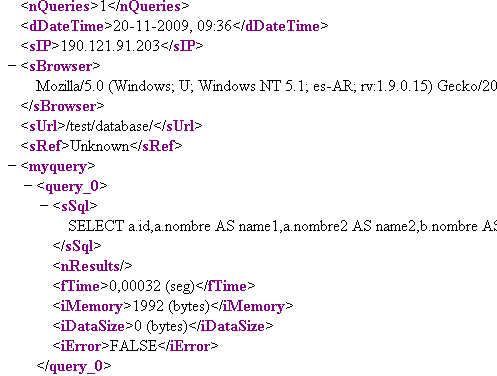 If the query takes just too long, you can cache the query result into an XML file, and you can also handle errors. This package has been extensivily tested with xDebug, APC and Suhosin so that no errors are present. Congratulations! $aResult haves the result of your query! 2.1.0b: Some mayor changes: (that never became final release) * Now supporting XML log with SimpleXML. * Added data array size: displays total data size in bytes. * XML now logs also: * Number of results * Data array size * Number of queries * Live statistics now displays data array size and the query with its binding. 2.1.5 - RC: * Now the class supports caching. * Proper error handling is now available. * Improved logging system a little more. It is a lot clearer now, it has it's own function. 2.1.6: * Improved error handling. * Added some more error exceptions. (Mainly possible file problem issues) * Added a new constant: DBPORT, in order to connect to a specific port different than the default. * Fixed a little bug in DB_Connect with variable name. (Was private static, should have been only private) * Special functions __call, __get, etc are now private. * DB_SHOW_ERRORS now working properly. * Class is now valid for PHP &gt;= 5.1.6. 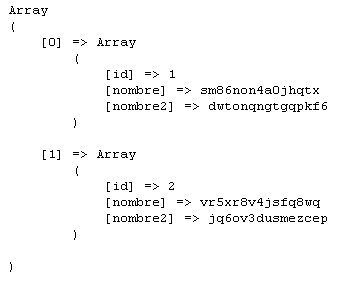 2.1.7: * Fixed little inconsistency when webserver's charset was different from mysql's charset. ¿Con escapar los valores basta?